How it all began…1994, Mr. Arthur King, then President of the Exploits Disability Association, wanted to do something in the community to give disable persons in accessible venue for recreation and relaxation. At the same time, Mr. Scott James, past President of the Rotary Club, expressed interest preserving a section of birches along the Corduroy Brook. Before long, it became evident to both men that the waterway had been seriously degraded by the encroachment of commercial development. A major clean up was an absolute necessity. Through mutual conversation, they found that their individual motifs would complement each other quite well. 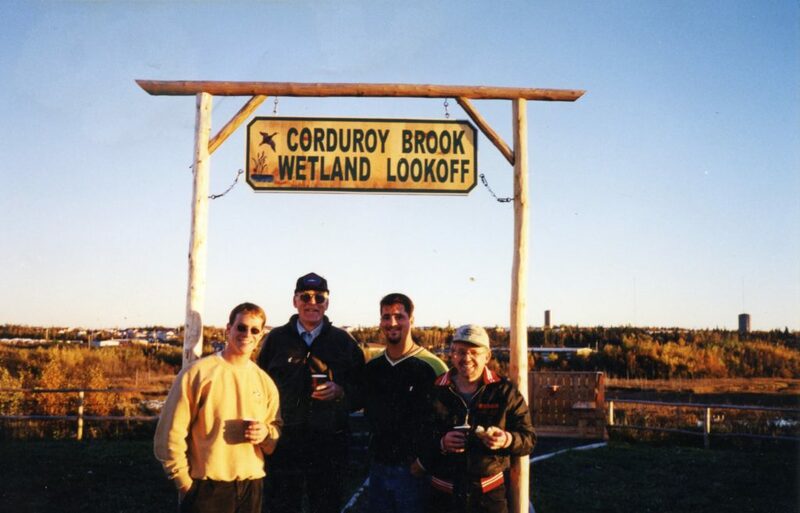 Soon after, an interest group was formed and the Corduroy Brook Enhancement Association was born.